Charles Leonard Estrada was born on February 15, 1938 in San Luis Obispo, California. He was signed by the Milwaukee Braves out of high school and was sent to the new MLB, Baltimore Orioles in 1957. He began his 1960 rookie season in the bull pen but soon broke into the Orioles rotation. He ended up leading the A.L. in wins with 18, making two All Star games, and earning the Sporting News Pitcher of the Year Award. He struck out 144 batters (5th in the AL) pitched over 200 innings and posted a 3.53 ERA. He had a successful sophomore season, going 15-9 with a 3.69 ERA but led the league with 132 walks. 1962 was a disaster for him as he led the league in losses (17) going 9-17 although his 3.93 ERA wasn’t all that bad. His career took a major downfall when he developed bone chips, as he eventually wound up back in the bullpen going 6-4 in only 25 games over the next two seasons. He was sent to the Los Angeles Angels who returned him back to Baltimore who then sent him to the Chicago Cubs who would release him after nine games in 1966. 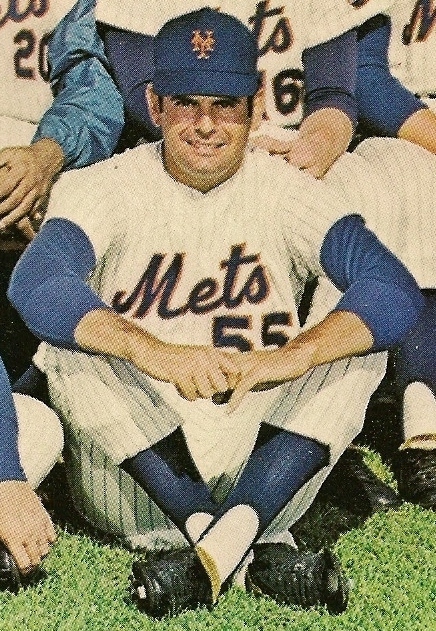 In 1967 the New York Mets picked him up and he began the season with the club as a reliever. 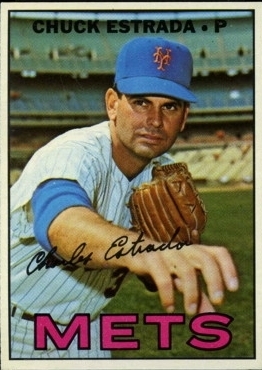 He earned a win in relief in his first Mets outing against the Pittsburgh Pirates, pitching 2.2 scorless innings at Shea Stadium. But it was all downhill from there, he would give up 23 earned runs in 22 innings pitched, including 18 runs over 13 innings in his last four games. He allowed earned runs in six of nine outings he had posting a 9.41 ERA. He was released by the middle of June, finishing his seven year playing career at 50-44 with a 4.07 ERA 535 strikeouts in 764 innings pitched. Retirement: After his playing days he was a pitching coach in the Mets minor leagues in the early seventies, then moving on to the Texas Rangers & Cleveland Indians.